Oh, I really really need to catch up on my sleep… so the little slideshow I thought about making is going on tomorrow’s schedule. A gorgeous 5 hours of work! Hopefully, I can be creative throughout tomorrow and have it ready for you. 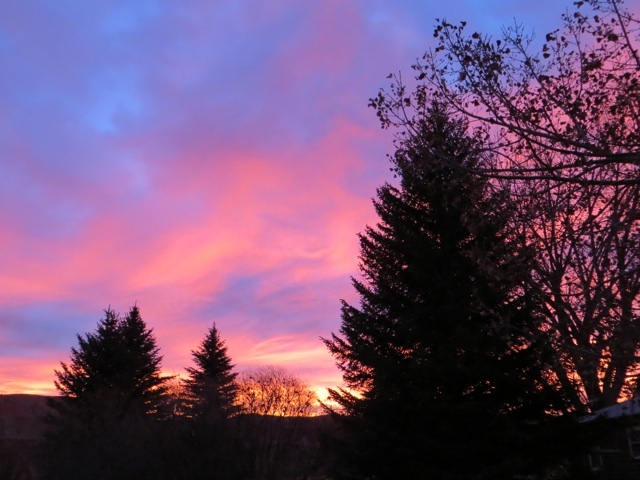 Thursday morning’s sunrise was brilliant red, setting the whole country “aflame”. I was late for work, and managed to miss the intense red, but I think it was still pretty impressive by the time I made it outside! November 2, 2008 No entry.